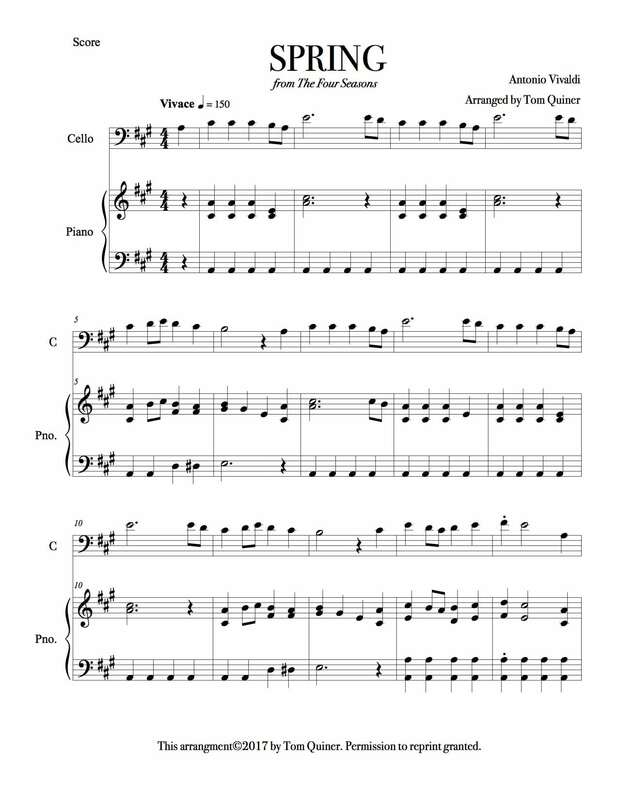 …complete with the violin sheet music. There’s a problem. While you’ll love the happy main theme, it veers off into sections of music that just aren’t conducive to a wedding procession. Another problem: not every bride and groom can afford a string quartet, the desired combination of instruments for this gem, composed by Antonio Vivaldi in 1725. On the other hand, most weddings feature at least one or two instrumentalists, with piano as the lead instrument. 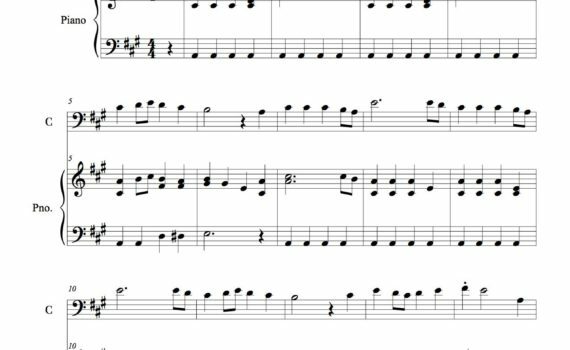 To simplify your options, we’ve asked a musical arranger to create a playable arrangement for our readers. It features just two instruments, piano and cello. This arrangement only uses those lovely, happy melodies brides prefer. That’s what makes Vivaldi’s Spring such a popular wedding processional song. Of course, you have another enticing option for your ceremony music: us! Crestline Entertainment not only provides world class entertainment for Chicagoland wedding receptions, we can provide any type of music for your wedding ceremony, too. So if you’d like to hear Vivaldi’s Spring with a full orchestra, no problem! Crestline Entertainment is the affordable option for brides who don’t want to scrimp on the quality of the music for their wedding ceremony.